A dynamite is all set to blast on 3rd of December, 2018 that is in 2 days time. 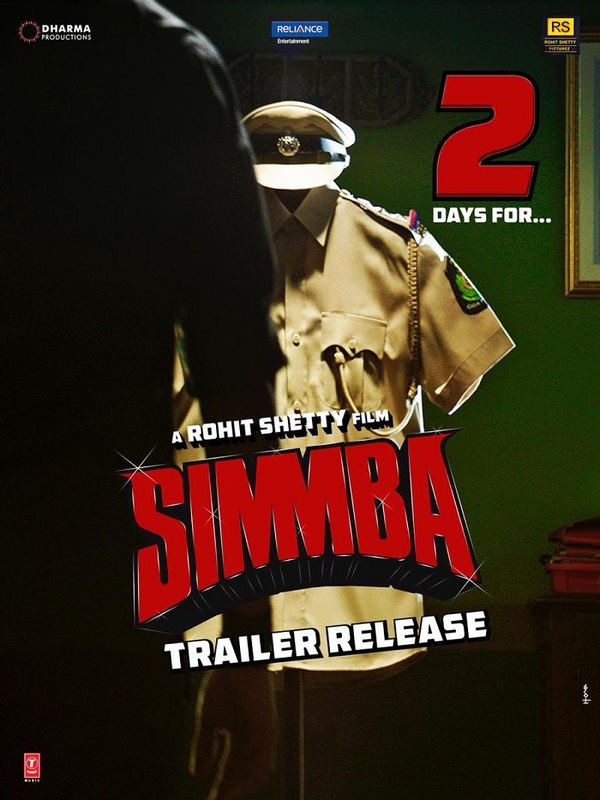 Yes, Simmba trailer is ready and will get released in 2 days time. Ranveer Singh has shared a first look confirming this news. Simmba is one of the most awaited film of the year. It is directed by Rohit Shetty. Sara Ali Khan will play the leading actress role. Film is produced by Rohit Shetty and Karan Johar. Simmba will be released on 28th December and will enjoy New Year Holiday weekend. Film is expected to take big start at box office. How can a star hype his movie so much when its a remake?? If it was an original then i would agree but come on??? Any ways NTR smashed it in Temper!!! !